GeniAus: 101 Reasons to Attend #congress_2018 - The Chinese Garden of Friendship. 101 Reasons to Attend #congress_2018 - The Chinese Garden of Friendship. 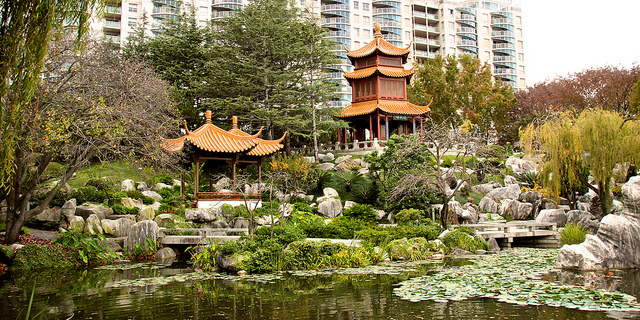 Just on the doorstep of The International Convention Centre in Sydney is a quiet oasis, The Chinese Garden of Friendship. When you feel the need to escape from the excitement of Congress and ponder on all you have learnt you can escape (for a small entrance fee) to Darling Harbour's Secret Garden. See what travellers have said on Tripadvisor. The Chinese Garden is my favourite place to visit while in Sydney. We'd always have afternoon tea there and look out over the garden. So lovely and peaceful. One of my favourite places in Sydney...an escape from the busy-ness of a big city. Peaceful, tranquil.